In honor of Martin Luther King’s birthday this year, I treated myself to a movie marathon, watching “Django Unchained” and “Zero Dark 30″ back-to-back. And it was like a cold slap in the face. “Django Unchained” allegedly took place in 1858 — and here we are now, 160 years later, where things have apparently changed and we’re now being all civilized with our I-phones and our electric cars and our digital TVs. Nobody enslaves “colored” people any more and tortures them like that any more, right? This is the 21st century! No one ties “colored” people up with ropes and beats them and beats them and beats them and then sics dogs on them any more, right? That’s barbaric. That’s why Lincoln freed the slaves and Dr. King marched in Montgomery, right? What happened to Django was old skool. But hold onto your popcorn, guys. 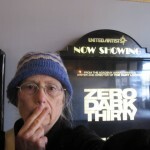 “Zero Dark 30″ is about to come next. When the theater screen darkens, suddenly here we are again, right here in the 21st century, but still tying up “colored” people with ropes, beating them and beating them and then siccing dogs on them. “Hey, but that’s different,” you might say. In what way? In “Django Unchained,” we saw a man have all that he owned taken from him — simply because he wasn’t White — and then we saw him beaten and tortured when he fought back against the Master. 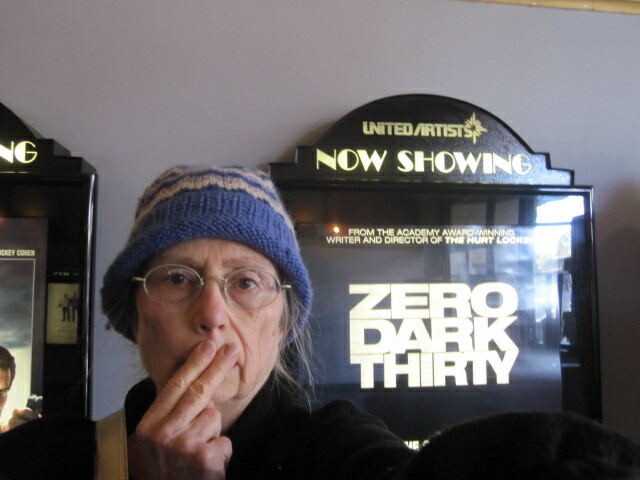 In “Zero Dark 30″ we also see the end results of years and years of “colored” folks in the Middle East having everything taken from them by the Master too — and then when they too fought back, they too got beaten and tortured. So how come we cheer Django Freeman on but hate Osama bin Ladin? Both are “colored” men fighting for their very lives. This commentary is not about whether bin Ladin was or was not a good guy. Obviously he was a bad guy — even making his wives do his laundry by hand, according to “0D30″. Wouldn’t even buy them a washer and dryer. This commentary is about how far Americans have progressed, between 1858 and now, along the path to moral evolution. Not an inch. In 1858 we had Candyland, where Leonardo di Caprio’s character used torture to maintain his power over people of color who rebelled against their own exploitation. And now, 160 years later, we have the CIA instead — with Jessica Chastain’s character using torture to maintain her power over people of color who rebelled against their own exploitation. On past Martin Luther King birthday holidays, I’ve honored the day by watching “The Long Walk Home” http://www.youtube.com/watch?v=J-YwJKIqyOE or “The Help,” http://www.youtube.com/watch?v=WbuKgzgeUIU, listening to Joan Baez sing the hauntingly immortal “Birmingham Sunday,” http://www.youtube.com/watch?v=WQ0y-vO9QLE and/or remembering back when I myself marched with Dr. King in Montgomery in 1965 — while seven months pregnant with my first baby. During past MLK birthday celebrations, I was always filled with hope. On this MLK birthday celebration, however, I was only filled with despair.